D. H. Lawrence was an English writer and poet. He was born David Herbert Lawrence on September 11, 1885, in the small mining town of Eastwood, Nottinghamshire, England. His father, who was barely literate, was a miner and his mother, who by contrast was a lover of literature, worked in a lace factory due to her family's financial difficulties. Lawrence had a close relationship with his mother. When she died of cancer, Lawrence's grief became a major turning point in his life. 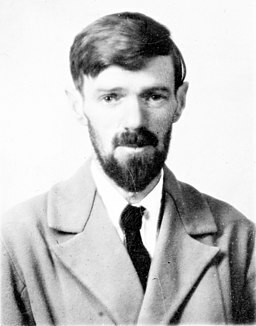 In 1908, D. H. Lawrence left his small town for London where he attended the University College of Nottingham to obtain his teacher's certificate. After receiving his teaching certificate, D. H. Lawrence published one of his first successful books, The White Peacock in 1910 with the help of his close friend and intellectual companion Jesse Chambers. This was followed by the publication of The Trespasser, a story based on the intimate diaries of a fellow teacher about an unhappy love affair she had with a married man. While teaching in Davidson Road School, Croydon, he continued writing. In March 1912 Lawrence met Frieda Weekley (a German lady, née von Richthofen), with whom he was to share the rest of his life. Six years older than her new lover, she was married to Ernest Weekley, his former modern languages professor at University College, Nottingham, and had three young children. She eloped with Lawrence to her parents' home in Metz, a garrison town then in Germany near the disputed border with France. While traveling with his new love, Lawrence continued to write at a furious pace. He published his first play, The Daughter-in-Law, in 1912. A year later, he published his first volume of poetry: Love Poems and Others. In 1913, he published his largely autobiographical masterpiece, Sons and Lovers. Back to England, D. H. Lawrence and Frieda got married on July 13, 1914. In 1915 he published a controversial novel, The Rainbow. This novel contained some quite sexually explicit accounts of two unconventional females. After World War I, the couple left for Italy where Lawrence published another controversial novel, Women in Love, which is considered to be the second half of The Rainbow. The novel delves into the complex relationships between four major characters, including the sisters Ursula and Gudrun. Both novels challenged conventional ideas about the arts, politics, economic growth, gender, sexual experience, friendship, and marriage. After his experience of the war years, Lawrence began what he termed his "savage pilgrimage", a time of voluntary exile. He escaped from Britain at the earliest practical opportunity, to return only twice for brief visits, and with his wife spent the remainder of his life traveling. This exile took him to Australia, Italy, Ceylon (now called Sri Lanka), the United States, Mexico and the South of France. In March 1925 Lawrence suffered a near-fatal attack of malaria and tuberculosis while on a third visit to Mexico. Although he eventually recovered, the diagnosis of his condition obliged him to return once again to Europe. He was dangerously ill and the poor health limited his ability to travel for the remainder of his life. The Lawrences made their home in a villa in Northern Italy, living near Florence where he published his best-known and most infamous novel Lady Chatterley's Lover (1928). His collected works represent, among other things, an extended reflection upon the dehumanizing effects of modernity and industrialization. Some of the issues Lawrence explores are sexuality, emotional health, vitality, spontaneity, and instinct. Lawrence's opinions earned him many enemies and he endured official persecution, censorship, and misrepresentation of his creative work throughout the second half of his life, much of which he spent in a voluntary exile. At the time of his death on March 2, 1930, his public reputation was that of a pornographer who had wasted his considerable talents. E. M. Forster, in an obituary notice, challenged this widely held view, describing him as "the greatest imaginative novelist of our generation." The philosopher Bertrand Russell characterized Lawrence as a "proto-German Fascist". Later, the literary critic F. R. Leavis championed both his artistic integrity and his moral seriousness. 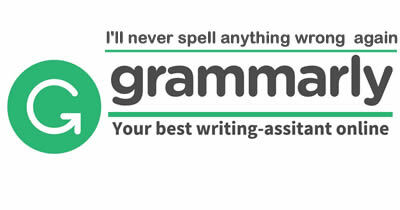 D. H. Lawrence's mother was illiterate. D. H. Lawrence got married to Frieda when they escaped to Germany. At the time of his death, his work was widely acclaimed by all the critics.